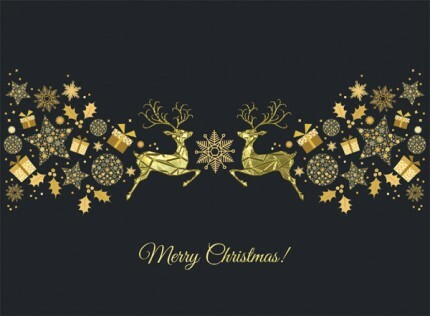 “Golden Decoration” is a contemporary design which features geometric style reindeers and an elegant script font. Golden Decoration has a gold foil & emboss finish and is suitable for corporate, business, company and personal use. (CN0199) is suitable for any small or large company. Manufactured in the UK by Christmas Connections. Emboss & Gold Foil Finish.